If you’re looking to buy used cars in Oakville, trust the professional associates at Budds’s BMW Oakville to find the right car for you. Since the inception of our family business in 1973, our vision has always been to provide you with a world-class customer experience. We believe our greatest asset is the quality and dedication of our people. Their focus is your satisfaction. Come by and speak to one of our dedicated associates about test-driving this sleek pre-owned 2015 BMW 428i xDrive. Stay cool with this fun to drive convertible now priced at only $59,995 with 19,398 km. Midnight Blue Metallic, with Oyster/Black Dakota leather interior and Fineline Anthracite trim, this car is both stunning and sophisticated. It comes complete with a no charge scheduled maintenance package for 4 years/80,000 km. As with all of our Certified Series pre-owned vehicles, this car comes with a 3-day / 300 km exchange privilege, 24-hour roadside assistance and affordable leasing and financing options. Call or drop by BMW Oakville today! All of our pre-owned vehicles are thoroughly inspected and reconditioned by our BMW expert technicians before they can become part of the Budds’ Certified Series. 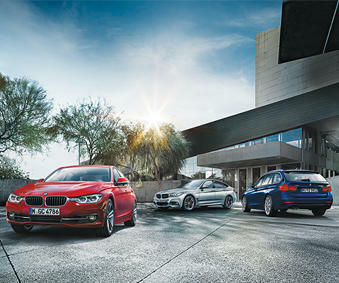 This ensures your pre-owned BMW will perform precisely like a new one. And so you are aware of your vehicle’s past, we also provide you with a CarProof vehicle history report. Visit Budds’ BMW Oakville to find out how we can put you in the car you’ve always wanted, with the service you’ve come to expect.